This curry is for the Potluck party event.hosted by Jagruti @ Jagruti's Cooking Odyssey. I am so happy to be paired with Anjana this month. 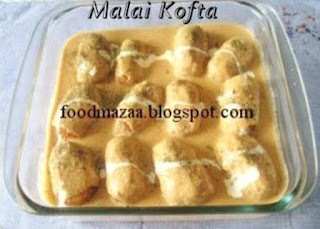 Actually I was supposed to make Malai Kofta Curry but I already have it in my blog . It is almost the same except the addition of onion; garlic paste. I am sharing the link of my recipe in this post. 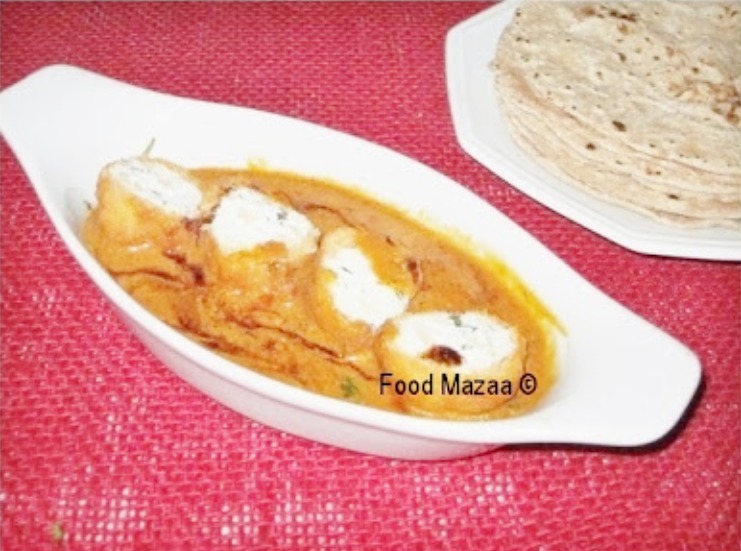 Taking this opportunity I decided to try out Dahi Kofta Curry, very unique one made with hung curd. I have made some changes to it because of the availability of the ingredients here in Brazil. 1. Tie curd in a muslin cloth and hang for at least 8 hours to drain the water completely. 2. Take the hung curd in a bowl and add a little salt, green chillies, coriander leaves, raisins and chopped cashews. 3. Grease your palms and make lemon sized balls. If you find it difficult you may add a spoon of semolina, bread crumbs or cashew powder. 4. Make a thick batter with gram flour adding salt, chilli powder, baking powder, asafoetida and water as needed. 5. 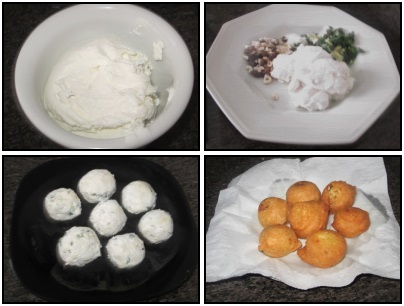 Dip the balls in the batter and fry them to a golden colour. 6. To make the gravy, heat oil in a pan and add the cumin seeds. When they crackle, add the ginger chilli paste and saute. Now add the onion puree, tomato puree and all the mentioned spices. 7. Add the cashew nut paste or a tbsp of hung curd and about 2 cups water. Simmer for 5-6 minutes. 9. Garnish with fresh coriander leaves and chilli oil. Delicious curry...! 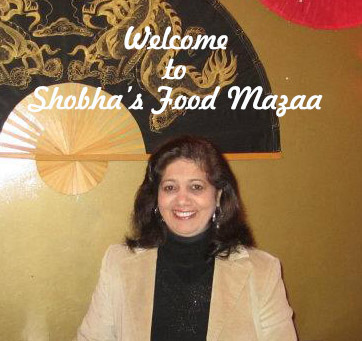 Thnx for trying it out for our party..
Dahi kofta sounds fantabulous and quite new for me..Fingerlicking curry. Its too good! Though I have heard of this, never tried it before. Thanks for sharing. just love the recipe... nice one... thanks for sharing. 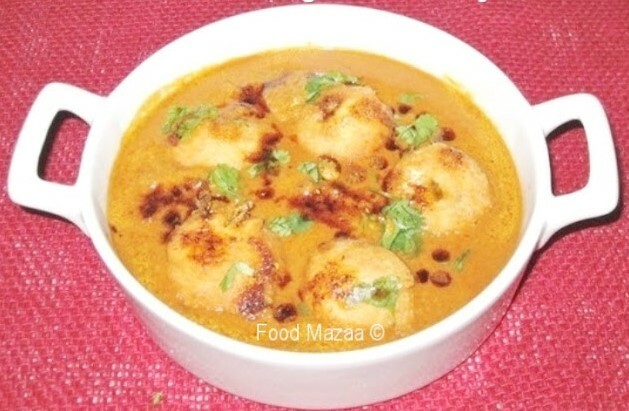 Yummy and delicious dahi koftas. Very interesting and a must try recipe. It looks yummy...but you have not mentioned when to add onion paste mam.. These koftas look so tempting - its one of my favourite dishes. 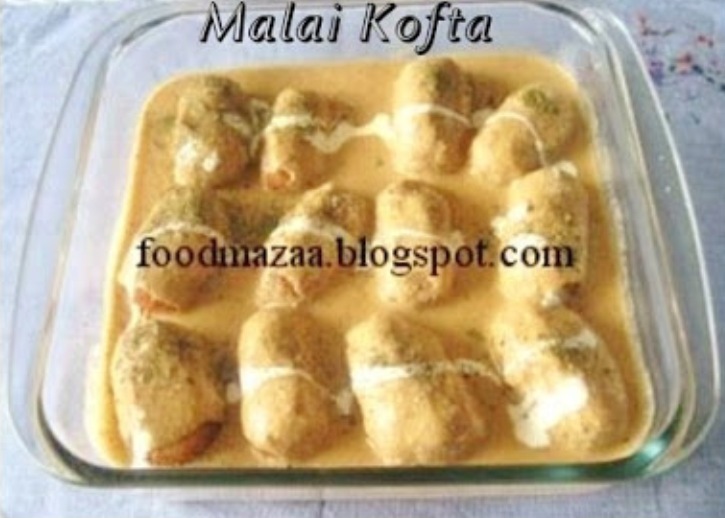 I always order malai koftas when eating out. Now that I have seen your recipe - I will try and make them at home. These are slightly different than malai kofta Mina.